The Mead Public Library provides quality services, resources and lifelong learning opportunities to meet the needs and interests of its diverse community. Pursuant to its mission and its roles in the City of Sheboygan, the Mead Public Library's areas of activity are to provide, assemble, preserve, make easily available, and offer guidance in the use of materials in a range of formats which will enable members of the Library's community to educate themselves continuously; keep pace with progress in all fields of knowledge; become better members of the home and more responsible citizens of the community, the country and the world; become more familiar with their cultural heritage; become more familiar with the history of their community; discharge political and social obligations; become more capable in their daily occupations; develop their creative and spiritual capacities; develop their capacities for an appreciation of the arts and sciences; use their leisure time in the enjoyment of reading and in such other ways that promote personal and social well-being; and contribute to the growth of knowledge. 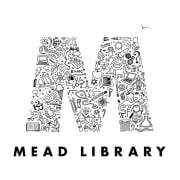 Would you recommend Mead Public Library?